Several years ago I submitted some travel stories to Traveler’s Tales, a publisher of travel writing anthologies. TT were gearing up to publish their inaugural China edition and I’d written quite a lot about the country when I spent nearly 7 months bicycling across China in 1998. 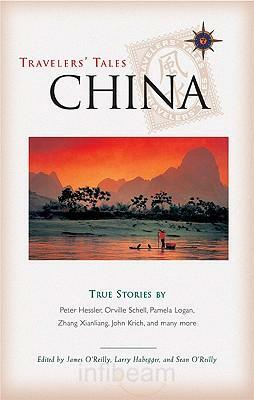 From that catalog I chose 11 stories I considered well written, of some interest to a travel reader and about travelling in China. They were of varying styles and, to be candid, quality, so I ordered them from what I considered to be the best to the…well, least best. When the offer to publish one of those stories arrived I was elated. I’d been published here and there in bits and blurbs, and had written and produced a play, however, getting a story into Travelers Tales was the biggest professional coup, by far, and no one had ever paid to publish my words. …but didn’t stop me from cashing the cheque when it arrived! Woot! After a bit of pondering I realised that the editor hadn’t rejected any stories. Instead, he’d read through each one with enough interest and curiosity to read another, and then the next, until he decided on what he thought to be the most appropriate for his publication. The realisation dawned: I’d been paid a great compliment. If he preferred the ninth, he was satisfied enough with the preceding eight to want to read it. A copy of the newly published anthology arrived several months later. For those of you who’ve not had the experience, it’s quite a rush holding a copy of a published book containing your words. I immediately turned to the table of contents, found my story and read it. The next rush was discovering that the story had been published without any edits. I read it again, then went back to page one and read the whole book through. While reading all the stories published alongside mine, I realised how perfectly that one story fit into the other stories chosen by the editor, how much better it was for the publication than all the others I’d submitted. I also looked at the story itself, and saw a number of qualities in it I hadn’t recognised before. It’s a much better story than I’d initially thought. Not until I read Daryl’s article did I realise I’d picked up some useful tools for learning from rejection, even though I’d been accepted. A rejection letter doesn’t necessarily mean your story isn’t any good. It may just mean the editor feels it’s not right for the publication. Don’t expect every editor to explain this in the letter, but if it contains any inducement to submit in the future take that to heart, then submit. The editor wants you to. Do I recommend throwing every marginally satisfactory story you’ve got into a submission? NO! I was lazy and silly and very lucky. In retrospect, one of my “top 3″ submissions, though one of my favourite pieces of writing, was completely inappropriate for the anthology. Editors spend hours a day reading and if the first item in a submission is just wrong for their publication, they may not bother to read the rest. So, do your research. Rather than the 3 or 4 best stories you’ve written, submit the 3 or 4 stories the publisher wants. In your submission, you should be able to confidently explain to the editor why each of your submissions should appear in their publication. Run a post-mortem after every rejection. This is a learning opportunity. Armed with at least a little insight into what didn’t work this time, go back and research the publisher again. Someone else’s story got accepted so try and figure out why. If you can, read the story or article the editor chose to publish over yours. How is it different from yours; What makes it more suitable to the publisher’s needs? This process may provide ideas for changing or editing your story so it’s more publishable. You may realise you submitted the wrong story altogether but remember another you’ve already written is worth submitting. Also, having another look at the publication could inspire a whole new story idea. All positive outcomes from a negative experience. yes, rejection can be a good thing….though we don’t necessarily think so at the time! Many years ago, I applied for a job within the organisation I was working. I was PERFECT for the role I thought, a promotion of sorts, I was just what they needed. This was before computers, so I painstakingly typed out my application and resume carefully choosing words, and paying attention to detail, a process that took most of the night. I had this one in the bag! Two weeks on: Oh, the humiliation of rejection, the anger, the hurt!! How dare they! I sat at my desk and sulked through the next few days and contemplated leaving altogether. A week later, a girlfriend sat with me while I dolefully recounted my tale of rejection. “Show me your application” she said. So, as she sat and read through my efforts, she started asking me why I hadn’t mentioned certain things, and why I hadn’t included different goals I’d achieved (all within the job I had) I was speechless, I thought I’d produced a faultless application. I read it again, she was right…I had missed some important notes, things that may have counted. About a month later, I went through the same process. Another position had become available and this time I submitted an application worthy of the job. “Karen, I could have easily given you that job you applied for, but I chose not to, because your application didn’t do you justice. I knew you were capable of doing much better work than you gave yourself credit for, and I knew this other position was becoming available and I wanted you to apply for that one. In other words, he had seen what I had missed and he had to reject my application for me to think and see what I needed to do to move ahead. A learning curve for a young woman and a lesson that rejection isn’t always a negative thing! I love it when up-line management looks out for their employees in such subtle ways.